No no no – I don’t mean I’ve bought the bread, jam & peanut butter and have assembled a sandwich at home. 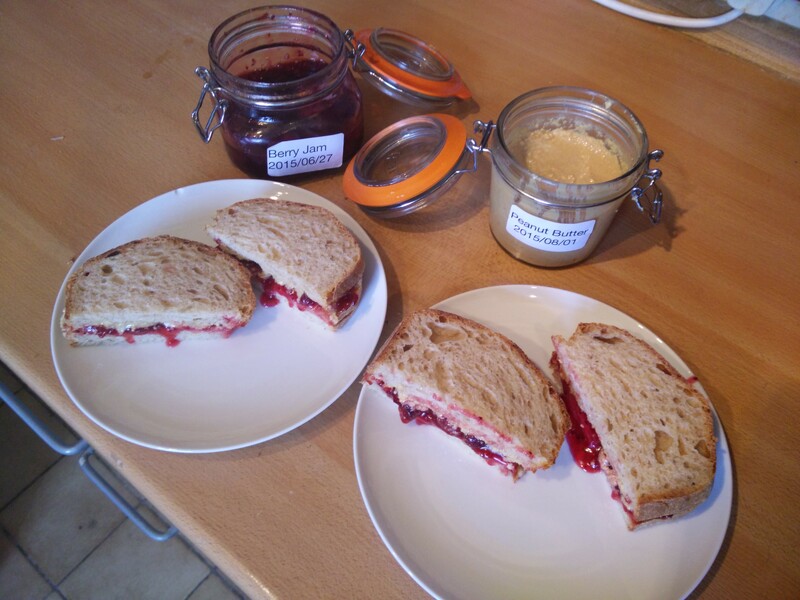 I mean homemade bread, homemade jam made with berries form the garden, and homemade peanut butter. Most recipes for peanut butter seem pretty similar, but I liked the clear instructions from The Kitchn so I’m following that. 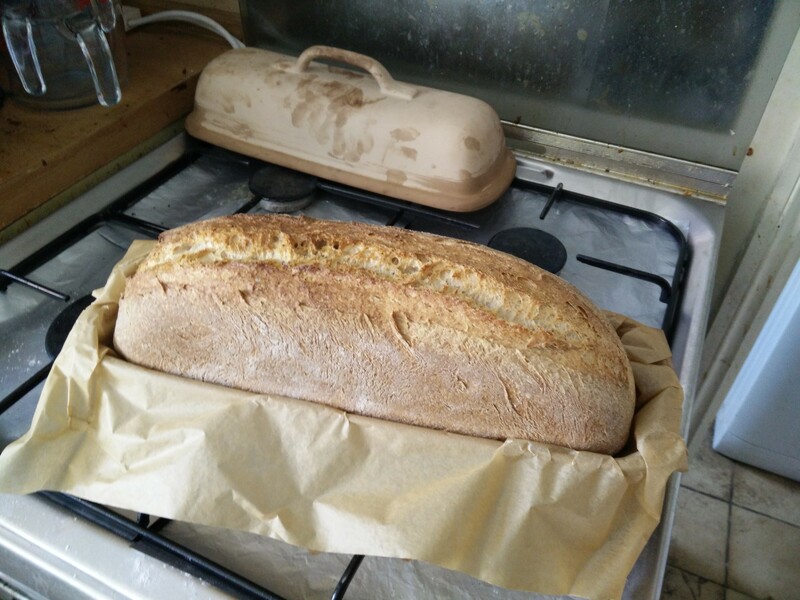 So that, plus the homemade jam from a few weeks ago, plus a standard sourdough loaf, and here we go! 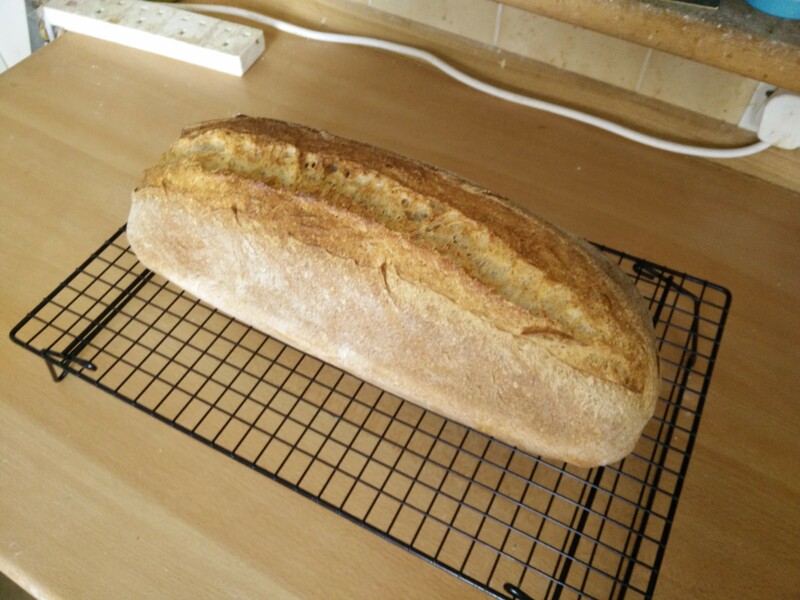 Well I say a standard sourdough loaf. 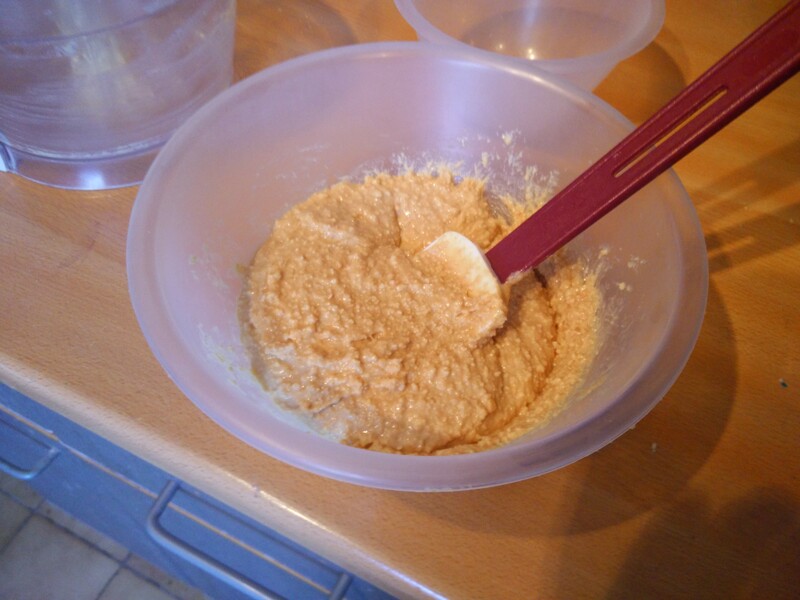 I normally use a ~750g dough for the loaf shaped bread, but today I tried using a full ~1kg mix to see if I could get a taller loaf (to get more peanut butter and jam on to!). Looks like it’s done exactly what I wanted! Yeah I’pm pretty damned happy with that! 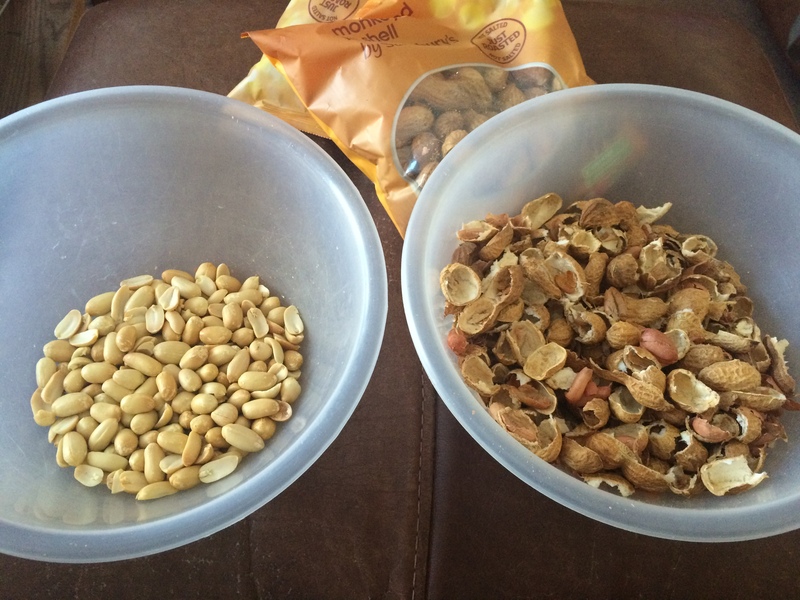 While I was baking various other things in the kitchen, and repeatedly washing up, Soph shelled three bags of monkey nuts to give us our unsalted peanuts for the peanut butter. 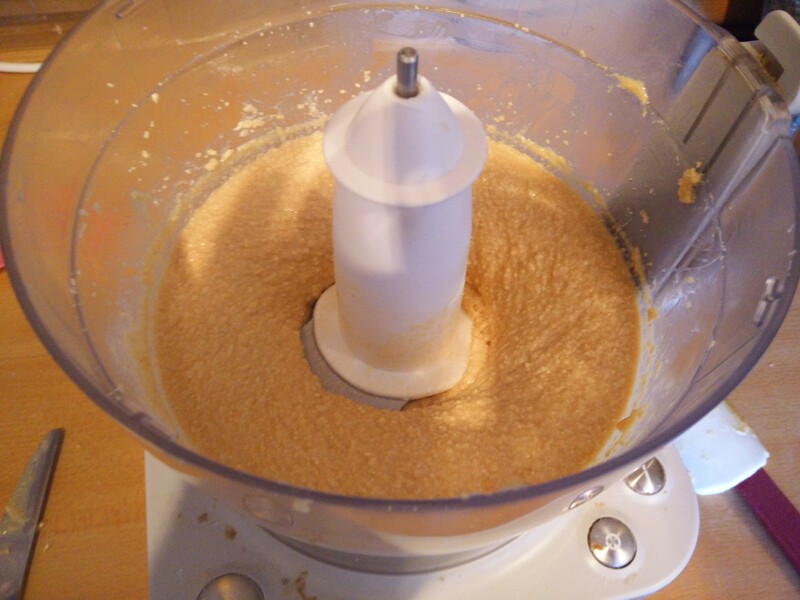 I got the easier task of pressing start on the food processor. 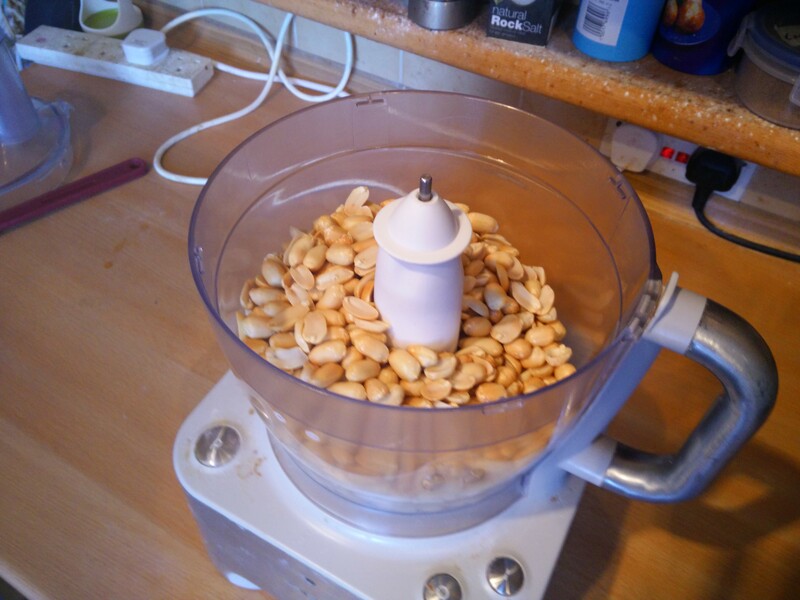 After a number of pulses it was nicely chopped up, so I set some aside, as obviously all peanut butter should be of the crunchy variety. 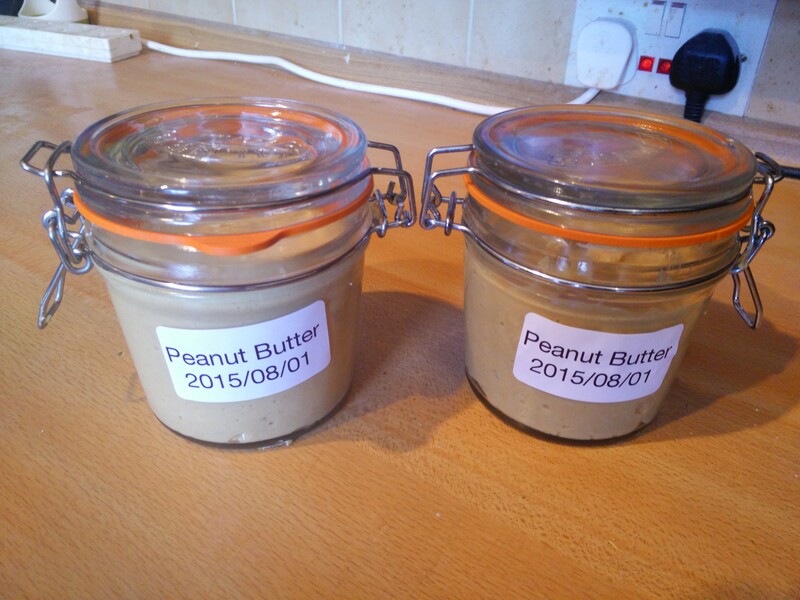 After much running, and adding some ground nut oil, I had what looks, and tastes, like peanut butter! With the crunchy bits mixed in, it’s time to put into jars. So it’s finally time to assemble things! This is how PBJs should be done! Proper fresh fruit flavour from the jam, savoury sticky peanut butter, all inside chewy sourdough.